What can you do in London on a Friday night at 11pm in January and March? 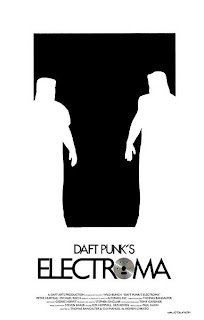 Go to see Daft Punk's Electroma film of course! The Institute of Contemporary Arts (ICA) has an essential late-night servings of Guy-Manuel de Homem-Christo and Thomas Bangalter - aka Daft Punk and their sci-fi tale of two robots on a Californian quest to become human. "Their poetic, surreal odyssey will firmly imprint itself on your altered consciousness." Tickets: £8 / £7 Concessions / £6 ICA Members. For more information visit the ICA Website.